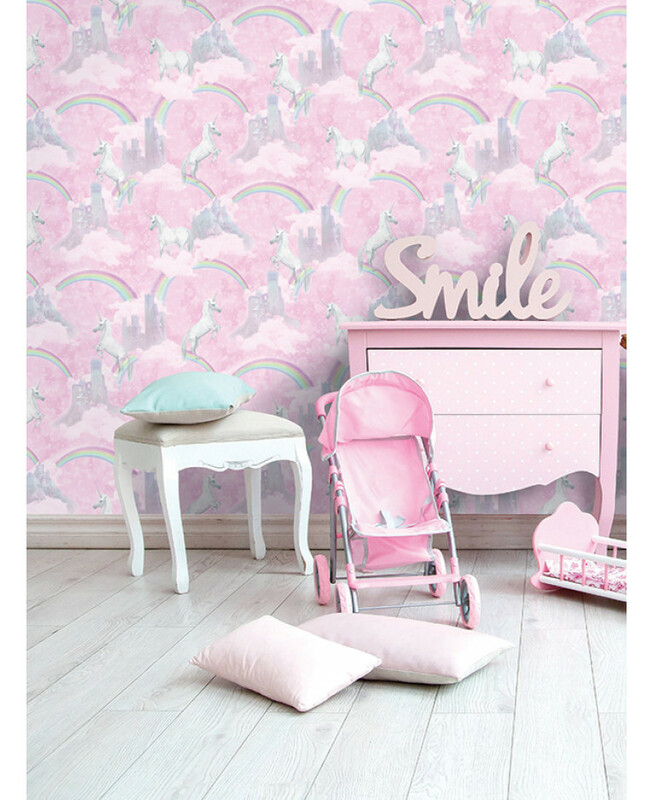 This I Believe In Unicorns Wallpaper will add a touch of magic to your little one's bedroom or playroom. 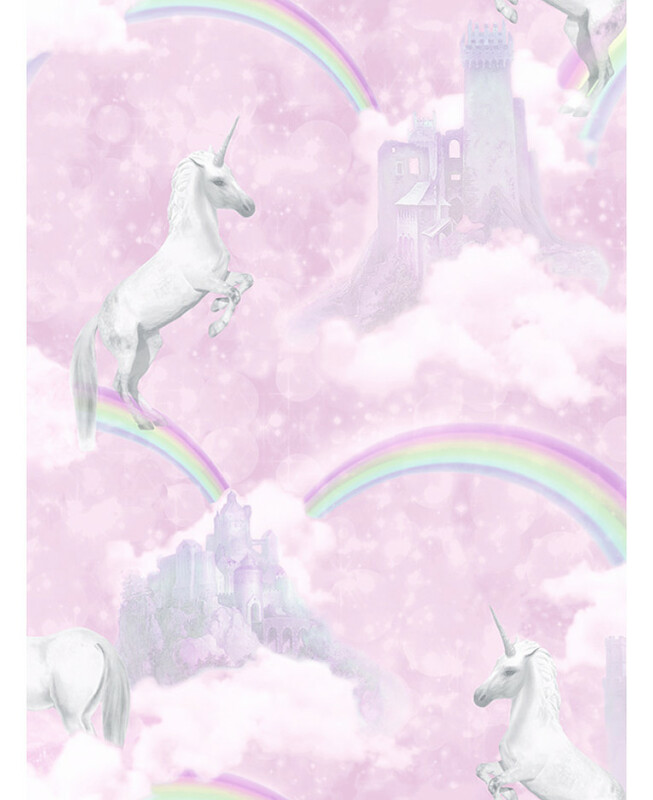 The beautiful design features unicorns, clouds, castles and rainbows in pretty muted tones on a soft pink background, with subtle glitter highlights for added effect. Easy to apply, this high quality wallpaper would look great when used to create a stylish feature wall or to decorate an entire room.